When Chesapeake Energy began exploring natural gas drilling exploration in Arkansas’ Fayetteville Shale, it turned to inVeritas to help promote development and expand exploration operations in a complicated political and public relations environment. Using opinion research, public outreach and legislative consensus building, team inVeritas worked to transform the region into a primary area of exploration for Chesapeake, the number one independent producer of natural gas and most active driller of new wells in the United States. inVeritas provided Chesapeake with legal, legislative and strategic brand development expertise and delivered cost effective support to the expansion of Chesapeake’s capital investment in Arkansas. 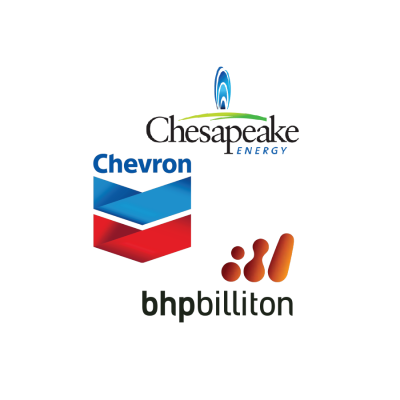 The Fayetteville Shale grew to be the U.S.’s second most productive shale play and Chesapeake became the area’s largest leaseholder. inVeritas has been engaged for the past several years as a consultant for BHP Billiton’s shale interests in Arkansas. In this role, inVeritas serves as a strategic advisor to BHP, advising on public and government relations strategies. Most recently, inVeritas was selected to conduct polling and in-depth interview research in the shale plays in Texas, Louisiana, and Arkansas. The multi-state research results were used to provide strategic consulting to BHP and assist in the development of public relations campaigns in the communities where BHP has active drilling operations. inVeritas has conducted focus group research for Chevron Corp. in Texas, Colorado and New Mexico. The research was designed to determine key messaging that will inform Chevron of their current position and predict the likely outcome of a public relations campaign focused on promoting production and development of natural gas exploration.